Who doesn’t crave a sweet treat from time to time? Of course, there are many different kinds of tasty sweets to choose from when the craving hits. But for Michigan, one candy does stand out: fudge. Maybe sweet treats don’t make the world go round, but they sure help. From a quick nibble on a morning break to an evening treat before bed (or even midnight snacking), candy can help improve our quality of life. So let’s count fudge as one of those “little things in life” that are just extra blessings to be thankful for. When a customer pops fudge into their mouth, fudge makers want them to experience a delightful moment. What customers may never know are the processes that went into that moment. In fact, they may consume untold amounts of sweet, delicious fudge without ever understanding. But, fudge shops do know. It’s their job to know what it takes to make good fudge. And as Pure Michigan reports, it could include marble tables, copper kettles, and a whole lot of sugar and butter. Let’s look at it as a simple idea: use great ingredients and great tools to make great food. Moreover, these shops don’t have to do it alone. So, why is it that the makers of Michigan’s iconic sweet treat need marble in the first place? Well, marble provides the perfect flat, smooth surface needed in the fudge-making process. Fudge needs time to set in order to become the gooey goodness we know and love. On marble, the process happens much faster. Other surfaces require almost double the amount of time! If you want to learn more about the entire fudge-making process, be sure to visit the experts! Of course, when fudge shops need top-notch tools, where should they go? That’s right, a quality provider. Or we vote to use the word “craftsman.” Even better. You can see one of these local fudge shops, Murdick’s Fudge in action on one of our readers Instagram story below. That’s our aim here at Stone Specialists, to craft a top-quality job that fits the needs of expert fudge-makers. We’re here to make it possible for Michigan fudge shops to make candy and to make it well. The shops want to make good fudge. We want to help. Let’s outline a few elements that could enable us to assist in that quest for tasty, fudgy morsels. And while we are helping the fudge shops, we’re also helping the customers too. After all, they’re the ones who actually get to eat those delightful pieces. Do it right the first time. Aiming to do things correctly on the first shot prevents rework—having to do it again later. Plus, it saves time, for our customers and for us. Take responsibility. Obviously, there’s risk involved in many tasks people encounter in their day-to-day lives. When things don’t work out as planned, the important question is what happens next? If we do make a mistake, it’s our job, not the client’s, to make it right. Be accessible. Understandably, clients may want to meet us and our products in person before we work together. We have showrooms in Burton and Midland. So, clients can head to either one to make that happen. Be responsive. When clients have questions, we want to make sure they get answers. Of course, providing countertops is a normal thing for us. On the other hand, from their perspective, it could be a one-time, big-deal event. Thus, we want them to feel knowledgable and comfortable. Know what it’s like to be the little guy. Let’s say there’s a small fudge shop just making its start in a big economy. When it comes to small beginnings, we’ve been there, too. We started as one guy, one saw, and a shed. So when it comes to small business, we’ve been there, done that. Consider each customer and each job important. Some clients may need a small project, completed relatively quickly. Others may be looking for a really large job that’s going to take a sizable investment of time. But small should not equal unimportant. Nor should large equal unmanageable. Specialize in stone. We want to offer great stone and the knowledge to install it well. Whether it’s granite, marble, quartz, quartzite, or soapstone—it’s our job to give fudge shops (or any clients) the surface they need and want. Roping someone else in on the job isn’t a sign of weakness. It’s a sign of wisdom. Specialty shops know what they do best, so they can devote more time and energy to that than to something they’re not really skilled in. Besides, if there are people with expertise in that area, why not call them in? When a client’s day-to-day work calls for creating an excellent (and delicious) product, we’re here to provide an excellent countertop on which to do that. 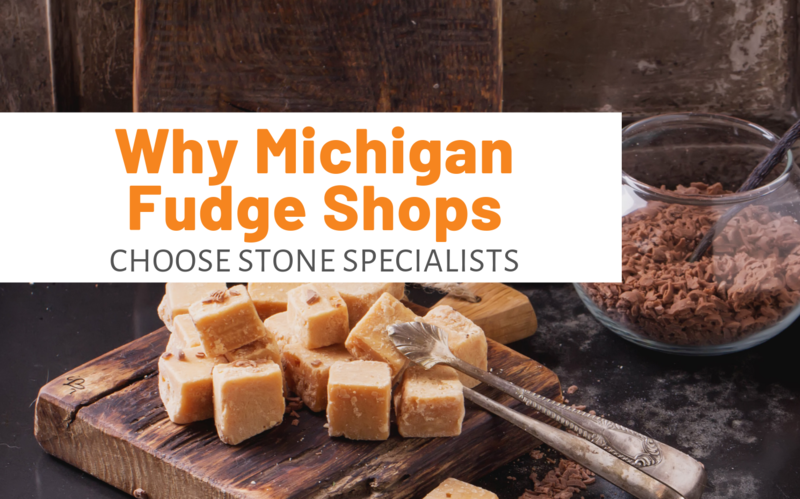 Whether serving fudge shops or others, we have the stone for you. 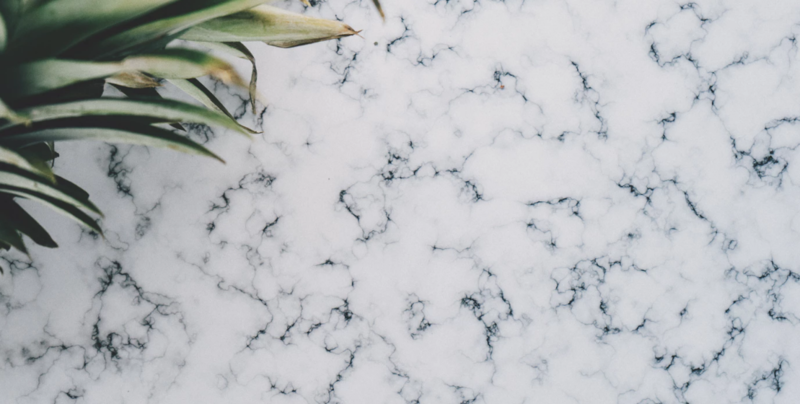 And if you’re new to the world of countertops, take a moment to learn more about counter options with our 4 Different Types Of Kitchen Countertops | Pros And Cons.